It’s better than you may think. Unlike Chickenfoot. Photo by J. St. O. With a name like… you get the idea. 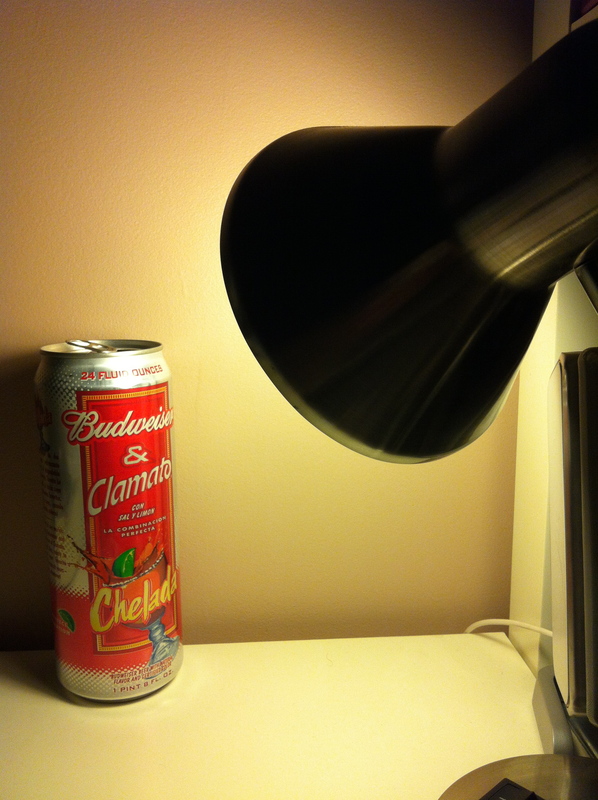 Bud mixed with tomato and clam juice, with lime and salt for good measure. Plain and simple. I planned to make a Sammy Hagar joke based on “Red One,” but he’s already exhausted the possibilities. With a name like Chickenfoot… you get the idea. Can I “drive 55” after a few Red Ones? Pleasant lime flavor, unlike Lime-A-Rita. The ratio of beer versus tomato juice flavors is slightly out of balance; not bad, but noticeable. 5% won’t destroy your life. Unless you want it to. I love tomato juice/V8, Bloody Marys, Clamato, beer, garnishes, and salty stuff, so I enjoy the real Red One. Bloody Marys are for sipping (although I have a penchant for downing them; I love drinks that play like side orders or even meals, as the Chubby Mary does), as any cocktail. And/or for getting through nasty hangovers and bad break-ups, as Willie Nelson can attest. Like Bloody Mary? You’ll like Chelada? Drink up and don’t let the red-eye keep you from trying the Red One. Avoid the Red Rocker.